Rugged. Efficient. Versatile. Powerful. These are just some of the words used to describe Elgin’s mechanical broom street sweepers for sale here at Haaker Equipment Company. The leading manufacturer of street sweepers for almost a century, Elgin machines have a reputation for being the best, and it’s easy to see why. 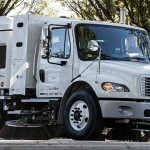 Take a look at these Elgin machines and their benefits to learn what the street sweepers can do for your municipality or facility. 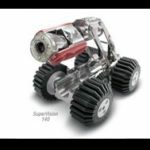 This efficient and rugged mechanical street sweeper can handle everything from light street maintenance to heavy construction debris. Greater hopper and water capacity are achieved by its intelligent design, which means making fewer scheduled stops, and the street sweeper’s variable dumping height delivers cleaner dumping action than ever before. The Broom Bear is easy to operate and maintain, and it combines quality and flexibility to produce maximum profitability and uptime. This four-wheel broom street sweeper combines variable high dump capabilities with the proven Elgin sweep system and highway transport speeds, delivering maximum productivity. Now available with either liquefied petroleum gas or compressed natural gas fuel systems, the Eagle also features a dual mode air suspension system that makes it easy to go from a full spring chassis to a solid rear axle. 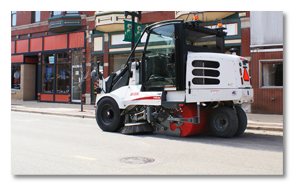 The Elgin Pelican three-wheel broom street sweeper offers unbeatable performance, serviceability, maneuverability, reliability, and economy. Used around the world in a huge variety of applications, the Pelican is a favorite among municipalities for its hydraulically-driven main and side brooms, large bubble windows and No-Jam Conveyor. 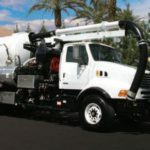 To learn more about these and other Elign street sweepers for sale, contact the team at Haaker today! !